Brimming with bloodlust, full to bursting with ox-tail soup; Dylan Moran, the largest nine-year-old girl in the British Isles, returns at last to the stage. This long awaited UK tour, since his last sell out tour with Ready, Steady....Cough in 2000; "Monster" kicks off on 12th December at the Colchester Arts Centre and continues throughout December, January and February, culminating on 27th February at The Octagon in Bolton. .. Can he be human? No one will ever know. Dylan is quite a remarkable comedian, somewhat like a jazz musician playing with language, experience and the absurdity of life. His comedy credits include winning the Perrier Award in 1996 at The Edinburgh Festival as well as winning Channel 4 sponsored newcomers comedy competition So You Think You're Funny, in 1993. He is a seasoned performer at comedy festivals, and his numerous appearances include The Edinburgh Festival Fringe, Just For Laughs Montreal Comedy Festival and The Kilkenny Comedy Festival. Dylan is also the creative force behind Channel 4's sitcom hit Black Books, in which he appears as Bernard Black, the foul tempered, eccentric and drink-fuelled proprietor of a grubby book shop, who would really rather not have customers if he could help it. 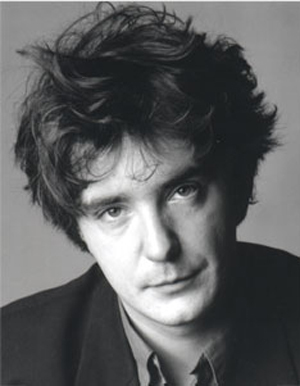 Black Books won a BAFTA for Best Sitcom in 2001 as well as a Bronze Rose at The Montreux Festival in the same year.